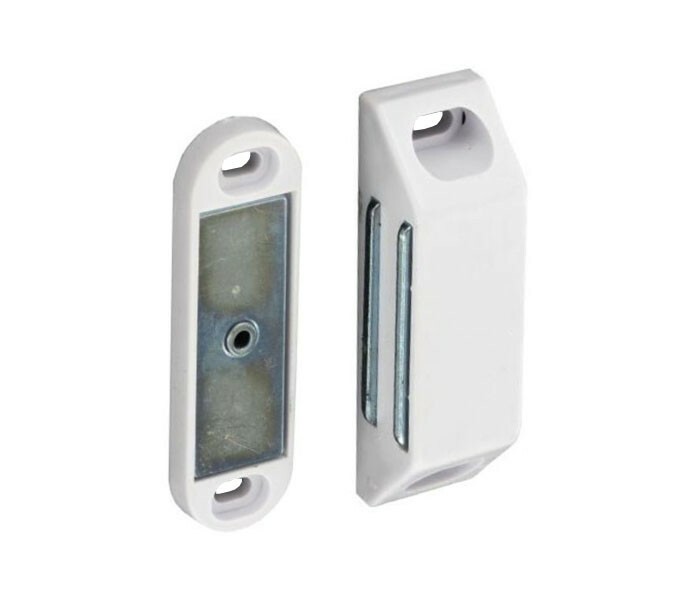 Magnetic door catch for cupboard and cabinet doors. A sleek and discrete design that offers a strong solution to holding the cupboard doors around your home, garage and workplace closed. By fitting a magnetic catch to the inside of your cabinets you prevent them from swinging or being knocked open. Durable and high quality this product is complemented by a smooth white finish allowing it to sit perfectly in place wherever required around your home. 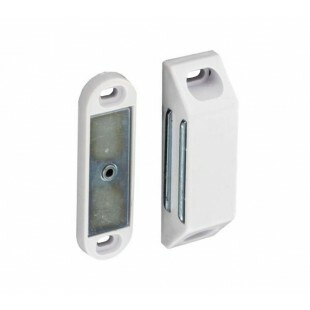 The magnetic door catch projects 16mm, has an overall width of 20mm and a height of 60mm. Fitting screws included.